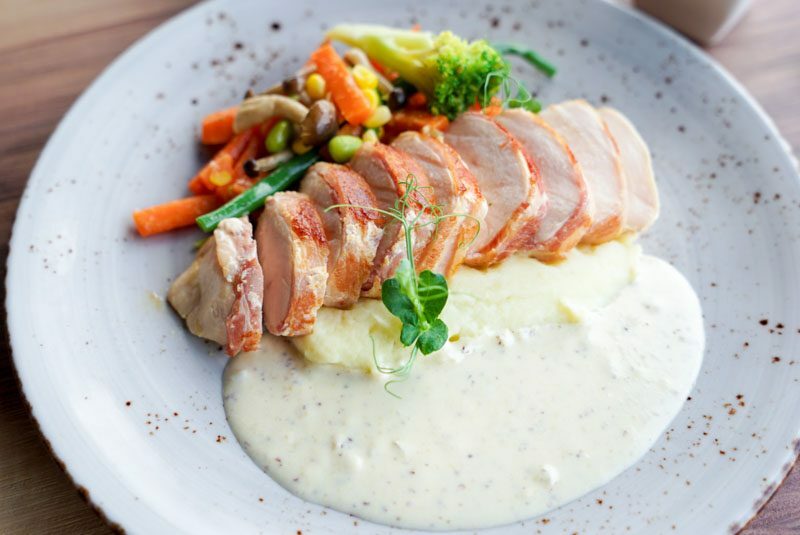 5 Senses Bistro at Star Vista offers affordable dishes using only quality ingredients and French-inspired recipes. The restaurant comfortably seats about 40 people and the soft light creates a cosy and pleasant ambience. In addition, the restaurant offers al fresco dining, if you prefer enjoying your meal in the cool air of the evening. Chef Andrea recommended the Crab Cake (S$10.90++), made from scratch with fresh crabmeat. 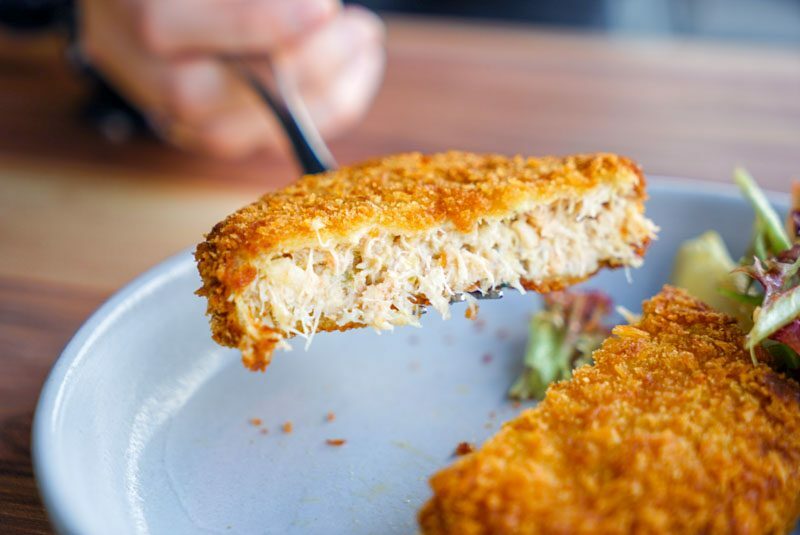 It looked rather ordinary, but when we sliced it open, it was overflowing with fluffy crabmeat that was sweet in taste and retained its juiciness. Next, we tried the Carbonara (S$8.90++) and for its low price point, it was actually pretty decent. 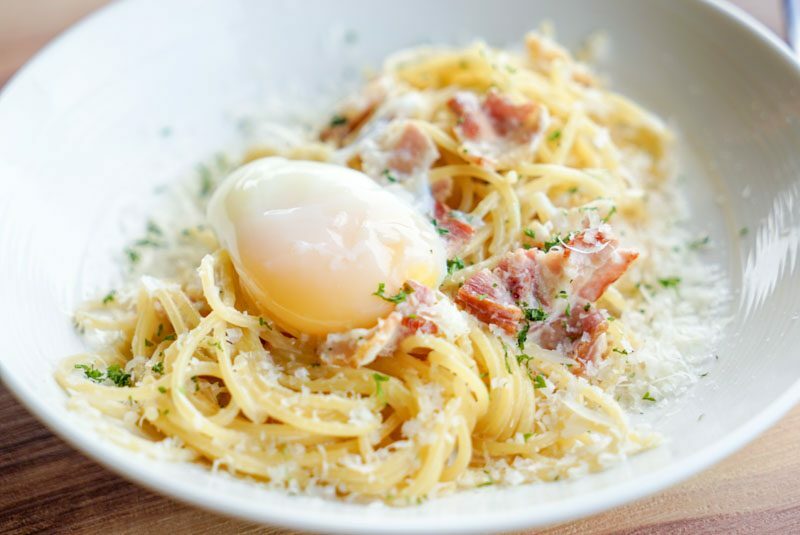 The spaghetti was al dente, and the savoury bacon gave the pasta a smoky finish. However, I felt it was a bit too creamy and could use a little more seasoning. Unlike the Carbonara, the Pan Seared Pink Norwegian Salmon (S$16.90++) outdid itself. Seared to perfection, the salmon came with a crispy skin that had a resounding crunch when we bit into it. 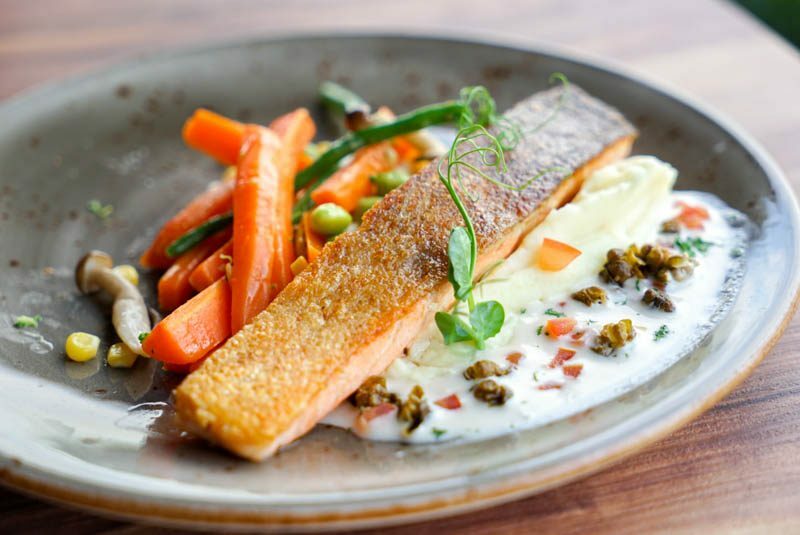 Its soft texture made this delicate and well-seasoned salmon very appetising. The accompanying tuna capers sauce gave the salmon additional tangy flavour. As a fan of salmon dishes, I would recommend this dish for its quality and low price. 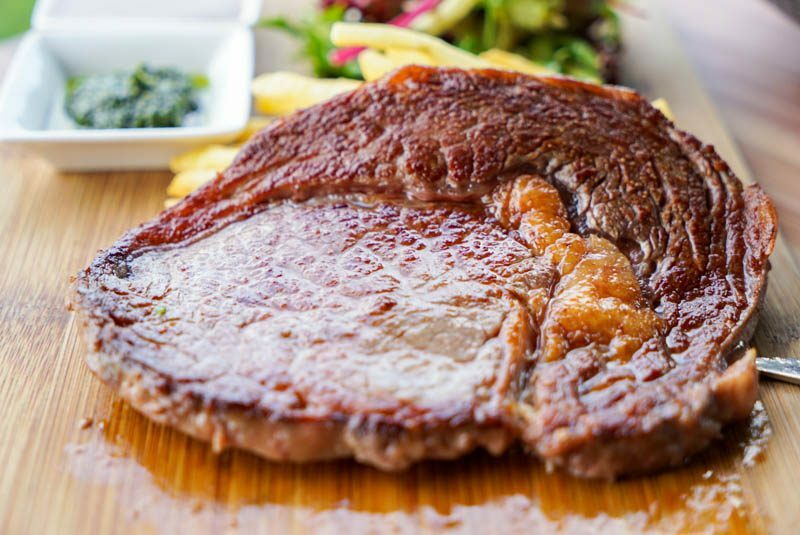 The first beef dish we tried was the Australian Ribeye Steak (S$16.90++). Although we requested it to be served at medium doneness, it came closer to medium-well. We weren’t really complaining, because it was still savoury and well seasoned. In addition, the meat remained tender and easy to chew despite being slightly cooked over medium doneness. When we tried the 150 Days Grain Fed Angus Beef Braised Cheek (S$19.90++), its tenderness was just right for us. 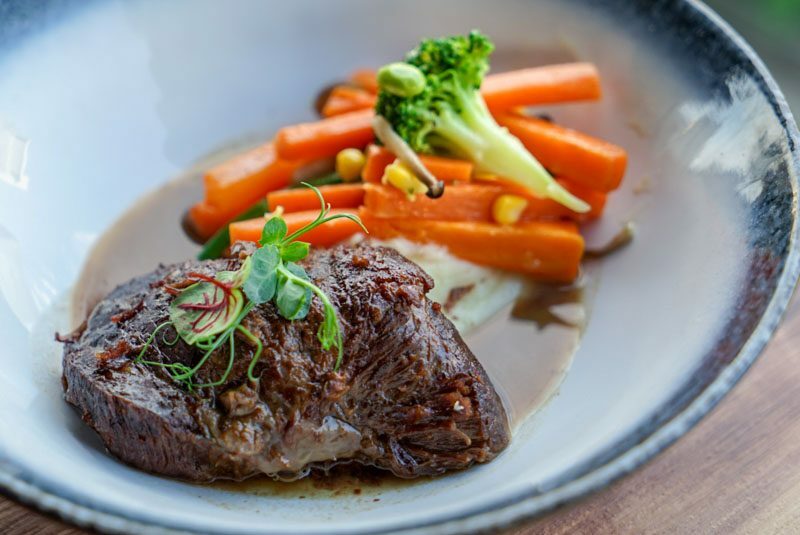 Braised for long hours in a herb-infused red wine reduction, the tender beef cheek had a savoury taste which balanced well with the fuller flavours of the herbs. However, it was a tad too gamey for my liking. 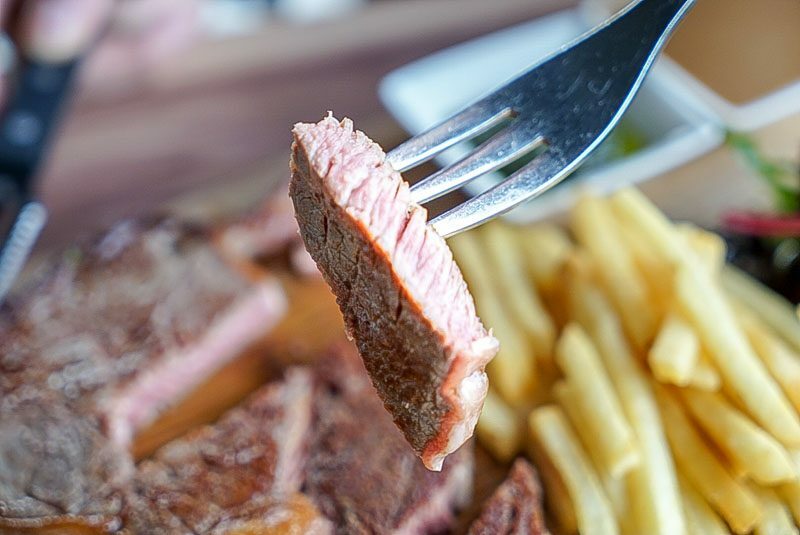 For people who enjoy beef, this and the Australian Ribeye Steak would definitely suit your tastes! Chef Andrea recommended the Semi-House Smoked Chicken Breast (S$13.90++). 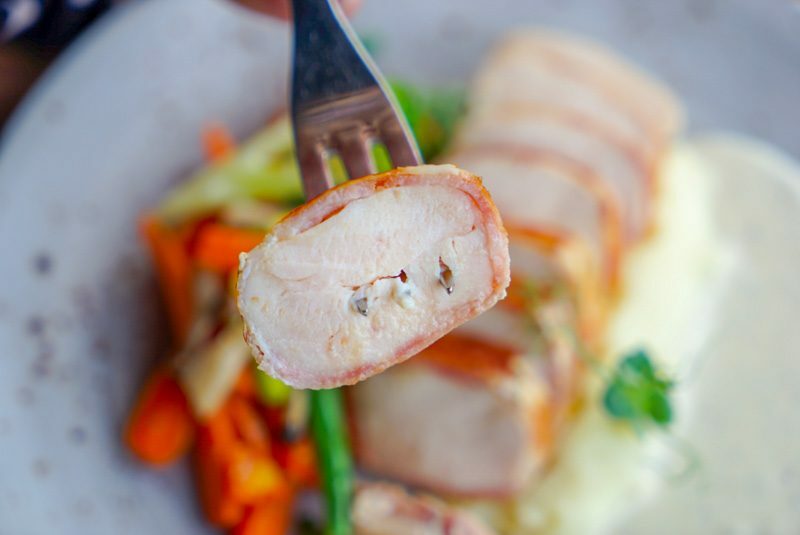 The tender chicken breast came wrapped in smoky bacon and served with a side of mash, sauteed vegetables and Pommery mustard sauce. Bacon and chicken was certainly a winning combination! If I had to pick, this would be my favourite dish from 5 Senses Bistro. The chicken breast was juicy and tender, unlike most versions of chicken breast dishes. Infused with the smokiness from the bacon wrap, each bite left us wanting more. This final dish gave us a warm and homey feeling, like digging into a comforting dish on a rainy day. 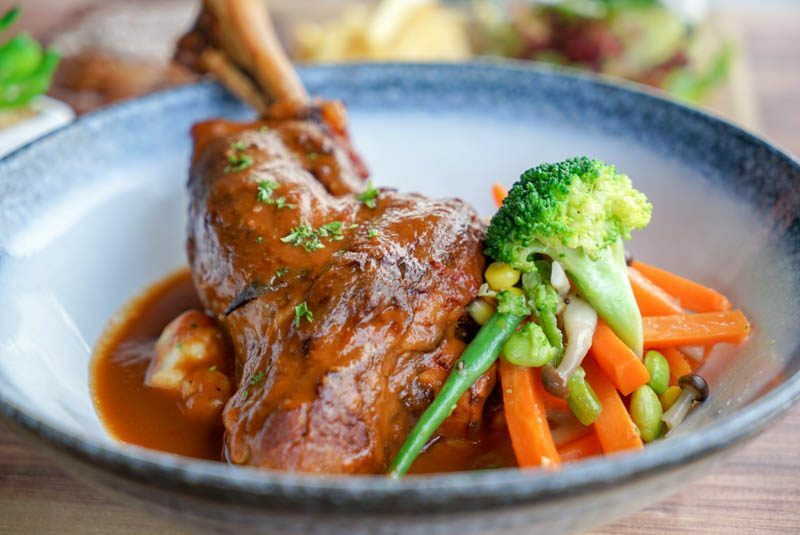 The Australian Braised Lamb Shank (S$24.90++) came on a bed of mashed potatoes and a side of sauteed vegetables, all drenched in tomato lamb stock gravy. We felt the Lamb Shank would be suitable for sharing as it comes in a huge portion. The meat was so tender that it fell off the bone easily. And its tomato-based sauce had rich flavours from the herbs, adding a tangy finish to the meat. The combination was great and though I am not a fan of lamb due to its gamey flavour, this dish was quite enjoyable. 5 Senses Bistro definitely did a good job with it! Dinner would not be complete without desserts! We tried the Apple Crumble (S$6.90++), which came with a scoop of vanilla ice cream. With the smell of cinnamon wafting up to our noses, we couldn’t resist and polished off the plate in five minutes. 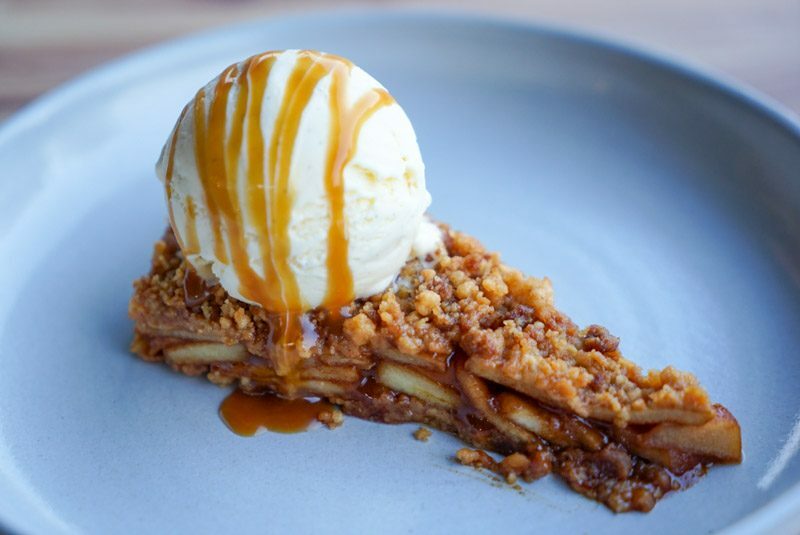 5 Senses Bistro serves a mean Apple Crumble with generous slices of caramelised apples and cinnamon-infused caramel sauce. The crumble retained a slight crunch with just the right amount of sweetness. The much-anticipated Chocolate Lava Cake (S$6.90++) hit the spot with its warm and flowy centre. Thick chocolate centre flowed out once we cut into the cake, filling each mouthful with rich and full-flavoured cocoa. We felt that the lava cake accompanied with the vanilla ice cream was a good combination. 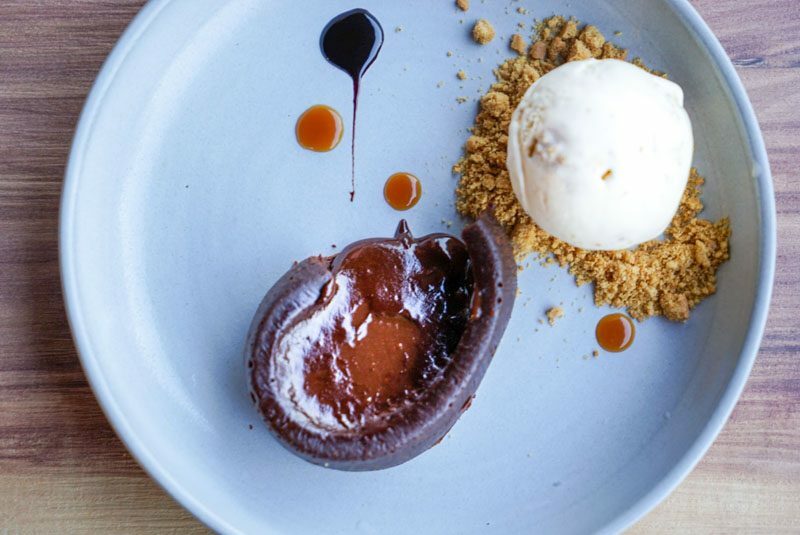 We definitely recommend going for this dessert, especially if you love chocolate! 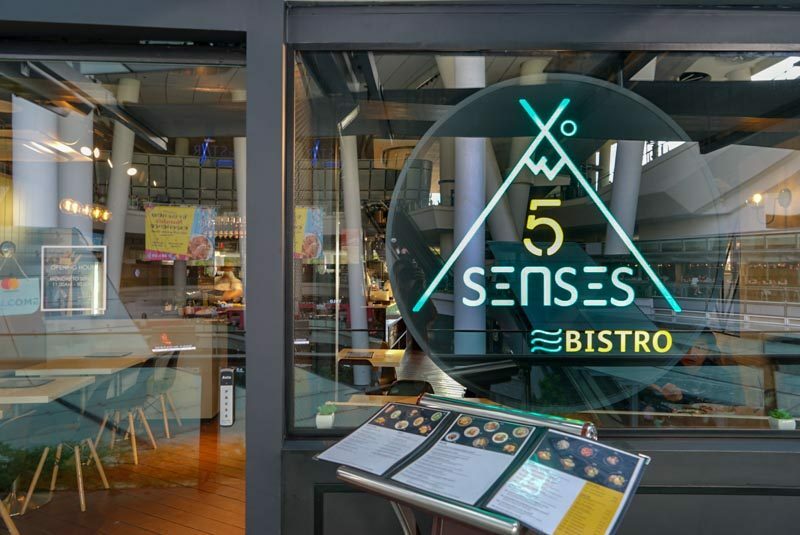 If you want to enjoy a good quality dinner, yet you’re worried about the prices, 5 Senses Bistro would be the perfect pick. 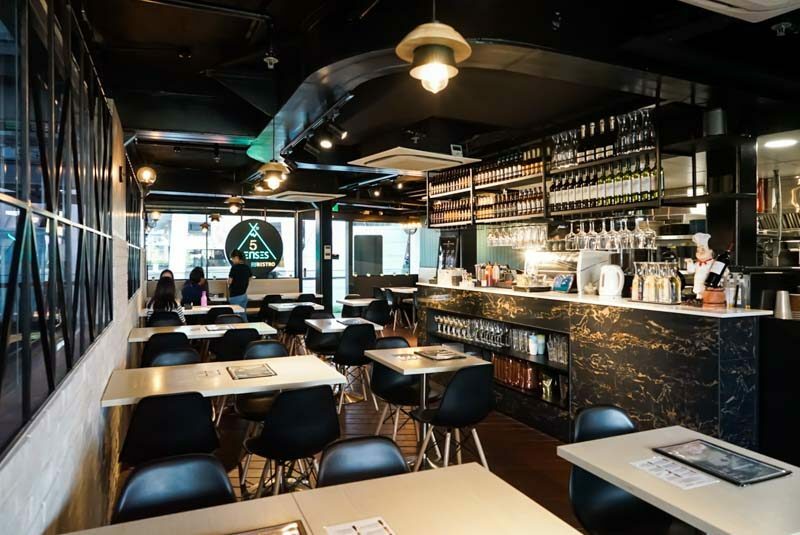 They also have a Restaurant at Bedok Point Mall which opened two years ago, so those who stay in the East can enjoy it too!